I’m a sucker for any song with one of those sort of singalong “woah, woah, woah” sections. 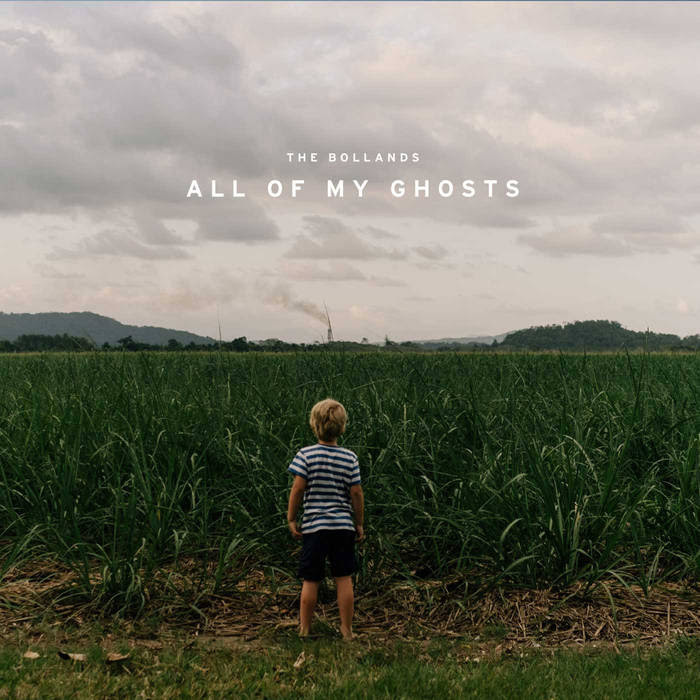 Coldplay do it all the time, Mumford & Sons even more so and The Bollands are at it too. Much like in life, sometimes words aren’t quite enough. Occasionally we might need to just lift our heads and open ourselves up to the emotion of a song. I think these are a trick songwriters use to prise our souls open. And from the first song, Crosshairs, this band do just that. Christian and Joyce return with their second album: All Of My Ghosts. Their story is so quintessentially folk, having met at a campfire jam on a beach in their native New Zealand, that it’s very hard for this wannabe hippy not to love them before even pressing play. They take us on a journey which winds, ducks and dives on this album. Sometimes in music there’s a predictability we subconsciously yearn for, but great musicians have a way of not giving in to that predictability and instead give us something else which we didn’t realise we wanted. The Bollands do this all over the shop here. You desire the melody to go one way, but it goes in another. Which was a better choice than your musically conditioned mind had thought it wanted. And then you can’t imagine it sounding any other way. Christian’s vocals on I Used To Sleepwalk are heartbreaking. We’re taken on an emotional journey of burden, darkness, a tortured soul and death. Towards the end, the tempo speeds up and builds and builds until you feel like you don’t know what to feel anymore. We’ve been shown real melancholy but we’re ripped out of the shadows and into the light before having a second to think about it. One of the consistent themes of this album is it’s unpredictability. A bit of an oxymoron. Twists and turns with lots of musical layers which stretch what is always an incredibly wide musical genre. Even in in the narrative of the lyrics we have some lightheartedness on Stare Into Space and then we get super deep on Feilding which tells us about the madness of being part of a Christian cult. We feel a darkness and a mild sense of insanity to this song, even the pace and emotion of the vocal is a far cry from the vulnerability of I Used To Sleepwalk. Christian has a delicacy and a gruffness to his voice all at the same time. I suppose this suggests he’s a delicate soul who has unfortunately experienced some hard hitting things in life. Makes for good songs though. So much happens in the 2.23 minutes of Guilty. It’s like a folk bohemian rhapsody. But somehow time seems to stand still. Joyce’s voice has a haunting youthful tone. It has that same awesome menace and slight scariness that Kate Bush has. With Crescendo we take a bit of a country-folk turn. It almost feels an anthem for someone like a Texan rodeo rider. A broken-hearted, loner of a guy with a burning desire to go down in flames rather than fade away – "I want my life to finish in a crescendo not wither in the dust". A sentiment we can all identify with. The best praise I can give this album is that I’ve since downloaded it for myself. I knew nothing of the Bollands before writing this. I certainly know them now.